It takes a lot these days for the standard guitar/bass/drums/singer set-up to make an impact. The oldest rock and roll format is also the most overused, with seemingly every kid who ever picked up a guitar forming a band in a friend's garage and citing Dylan and The Beatles as influences. The Growlers are a band like any other in this respect, yet their fifth LP proves that they have something a little bit extra. Chinese Fountain sees the L.A. group tackle current issues with criticism, yet with all the wit and cheek that is almost the stereotype of your standard five-piece. 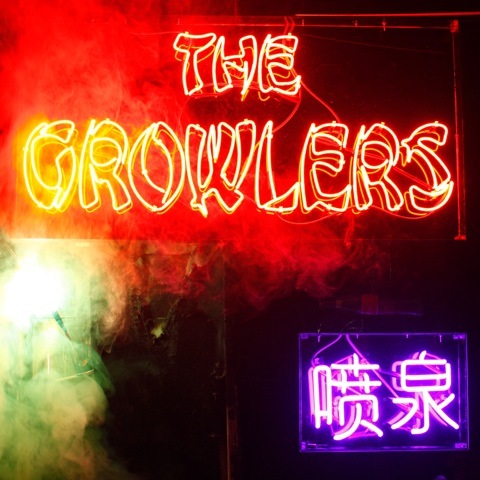 The album's title track examines our modern obsession with technology and connectivity, while a riff that Nile Rodgers would be proud of proves that despite brilliantly bold statements like, "The Internet is bigger than Jesus and John Lennon," The Growlers still don't take themselves too seriously. "Big Toe," the record's lead single, is another high point. The lyrical hook of "She's a lost cause, so count your losses" is simple but genius, while The Libertines-esque guitar lines give the track gloriously summery warmth.